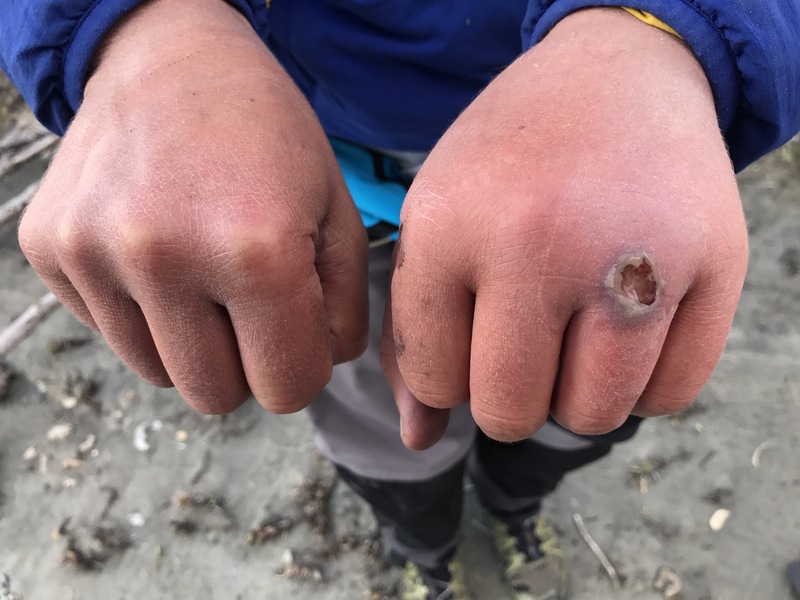 This is the story of how a pin-prick wound on my knuckle quickly festered, turning into a nasty skin infection that resulted in evacuation from a really remote part of the Brooks Range in Arctic Alaska. I’m sharing this in case it’s of interest to anyone. In mid-August we flew into the Brooks Range in Arctic Alaska on a small bush plane. 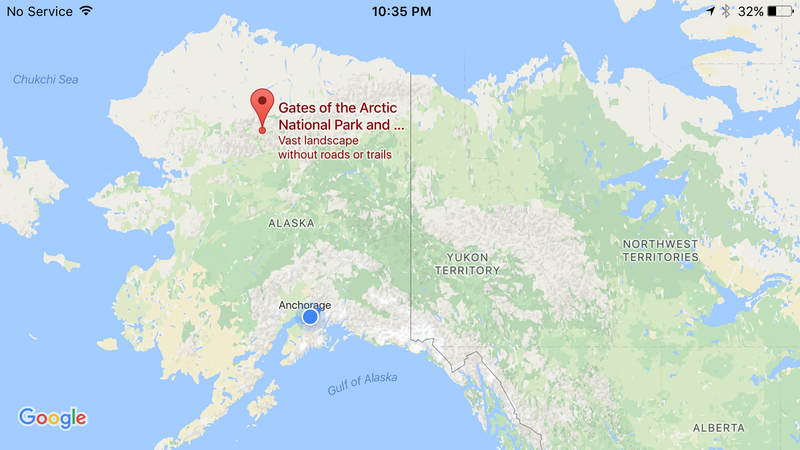 To get an idea of how remote we were, we had flown around 1 hour from Fairbanks to a small Arctic town called Bettles. 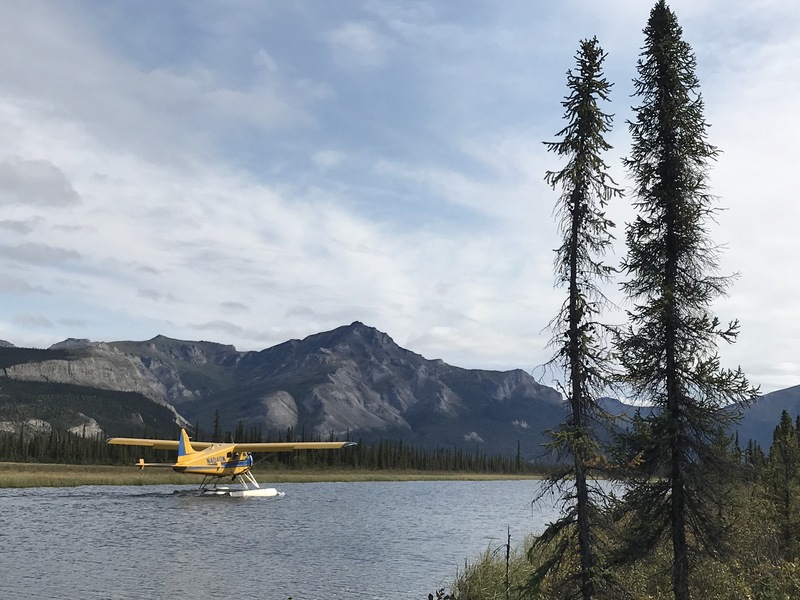 Then from Bettles we jumped on a charter bush plane for around 45 minutes to our drop-off point near the Arrigetch Valley. See location marker in Google Maps below. We landed at Circle Lake and stashed 4 days of food in some bear barrels to pick up on our return. Then we started climbing to get into the Ayagahomoha valley with 11 days of food, packrafting and hiking gear. 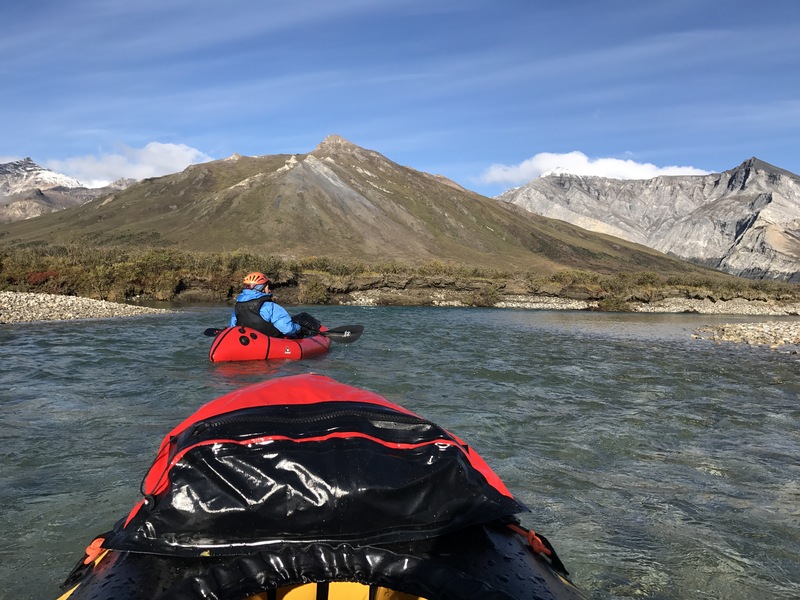 Our plan was to complete a circular route which would see us crossing 5 alpine passes, packrafting two different rivers and hiking in between. It’s remote and wild, there are limited evacuation points en route. Our packs were heavy for the kind of terrain we were moving through – impossible to avoid when packrafting in a cold environment. We had worked out what we really needed and left out the rest. We had a small first-aid kit with supplies we considered a necessity. The first few days were wet and cold. 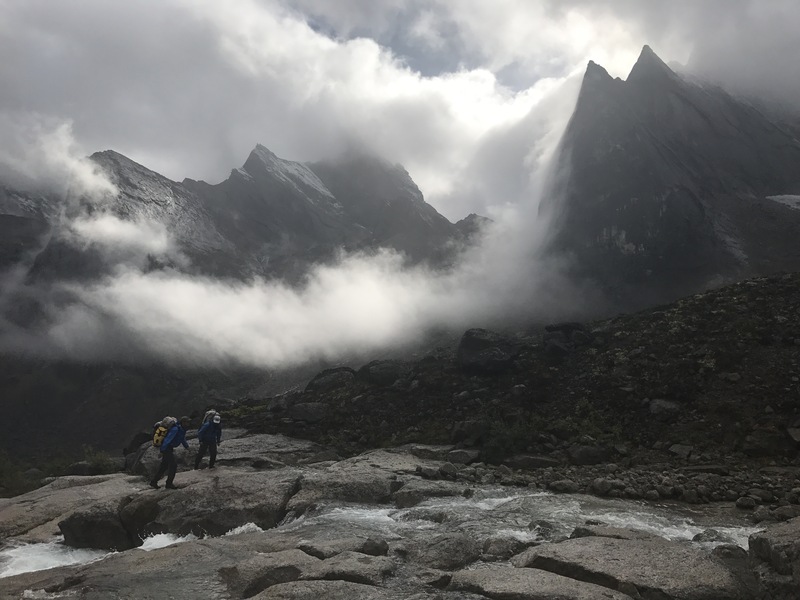 We were lucky to have the clouds lift occasionally to let us catch glimpses of the granite peaks towering above us. On day 3 we crossed the continental divide at Independence Pass. From the top of the pass we descended through a sea of rocks and large boulders. Towards the end of the day I slipped in a big boulder field and bashed my knee on a rock. I hit my patella hard and my skin split, a clean laceration wound. 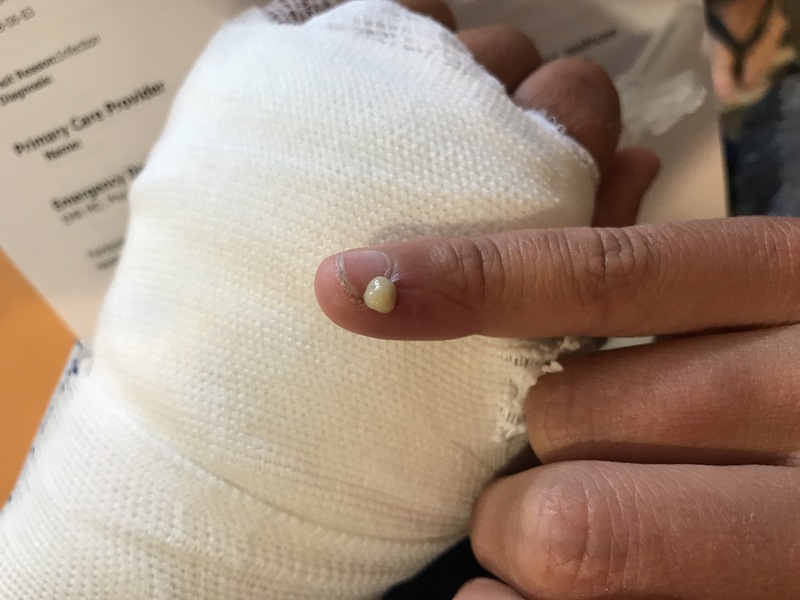 We put a steri-strip over the laceration and covered it with a piece of Fixomull tape to keep dirt out. We continued walking and scrambling across the never-ending talus slope to camp. My knee was super sore, especially around camp, getting into the tent, out of my sleeping bag. Ordinary movements were tricky but it seemed to be just a badly bruised patella. The main thing I was wary of was my decreased balance and thus increased chance of injuring something else considering we were in the middle of a never-ending boulder-hopping party! 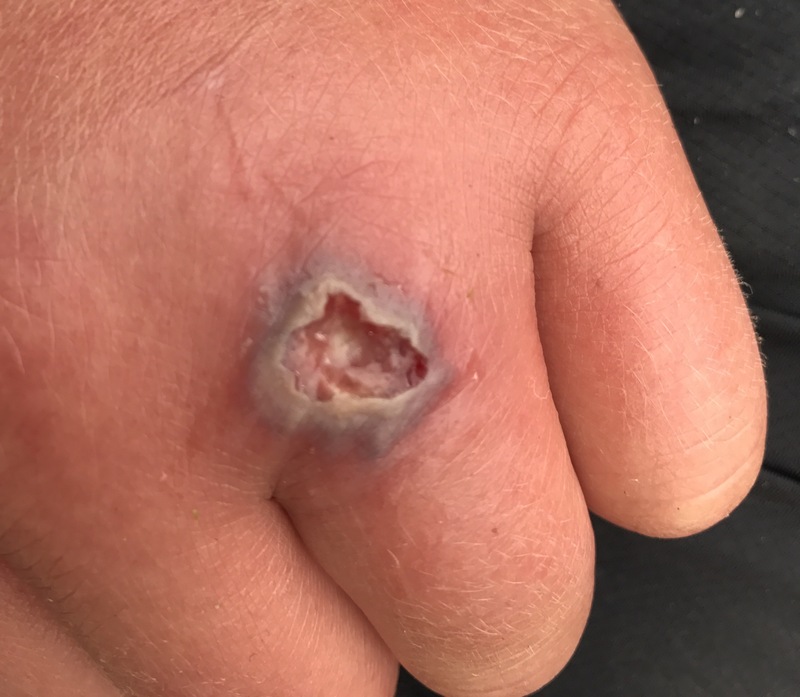 Infections weren’t on my mind all, until 6 hours after cutting my knee I noticed a small pin-prick wound on my knuckle start to fester. 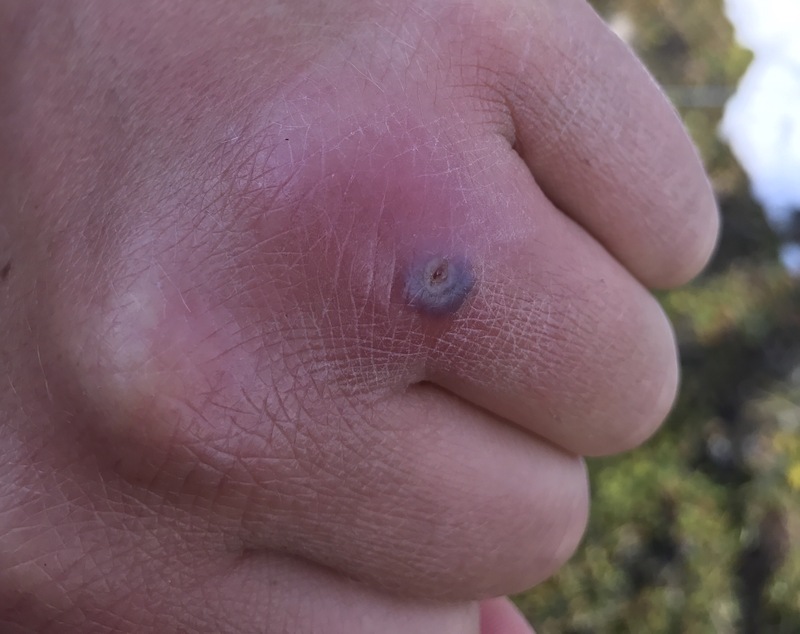 Before it was nothing – just a tiny dot with no discolouration or swelling, one of the usual scratches you get from off-trail travel. It seems I’d gotten unlucky and picked up some nasty bacteria (at this point we didn’t know). 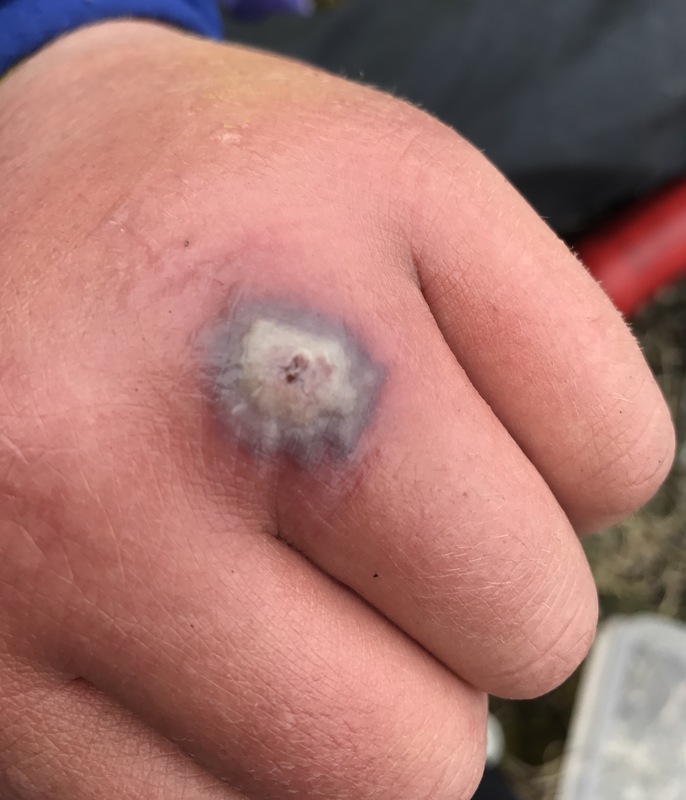 I get small wounds all the time but this one had a different look to it. I hot-soaked it. There didn’t seem to be anything there, no dirt or other foreign bodies. I decided to keep an eye on it. The next day was tough going. It was snowing and we were climbing big boulders to reach the top of the next pass. I found myself sitting in a cave in the snow while the guys tried to scout a way down. It was exposed and the rock was slippery. A fall could have been fatal. I didn’t feel like my normal self. I’d usually jump at an opportunity to scramble and scout but I had really low energy levels and felt like I was in survival mode. Borderline hypothermic, we just maintained enough body heat to not be too miserable. We got shut down from the pass; the descent was too dodgy given the conditions. We started retracing our steps to the previous night’s camp. We contemplated other route options: if we couldn’t make it over this pass could we paddle out the Kobuk instead? There was no pus: the white was dead tissue and it seemed to be spreading fast. We cut away the dead tissue with a scalpel to get a better look. Hot soaking and dousing with Betadine followed. It looked deep. The infection was starting to eat away at my lower skin layers. We continued walking. I was in a decent amount of pain with my knee but it just seemed to be bruised bone. I took some pain-killers for the knee and could function quite well, just a bit slower than normal. We made it over the pass and before we knew it we were out of the snow and back in tundra surrounded by wild blueberries. The next day I continued feeling weaker than usual and by lunchtime I felt physically sick and fever symptoms were coming on. At lunchtime I started taking Augumentin, an oral antibiotic for skin infections. It’s a really versatile antibiotic, a good one for the wilderness first-aid kit. I’d contemplated starting the course a little earlier but I hate taking antibiotics unless it seems like a necessity. The following day we climbed over two passes. By the time we reached a flat camping spot I was feeling weary and definitely sick of boulders. Boulders, boulders, boulders! Travel had been tricky. The boulders were covered in either a thin layer of slow or lethally slippery algae, making for slow progress. My knee hurt with every step. I’d been taking the antibiotics for almost 2 days but the infection didn’t seem to be improving. As soon as we’d set up camp I got into my sleeping bag and the boys cooked dinner. Later that evening I had a raging fever. I went to bed wearing all my layers with my sleeping bag zipped right up. My teeth chattered uncontrollably for a few bursts. I tried to sleep. Around an hour later I was standing outside, barefoot and half naked, trying desperately to cool down. We didn’t have a thermometer but the fever didn’t feel as bad as some I’d had before so I wasn’t too worried. I went back into the tent. I tossed and turned. My sleeping mat deflated but I couldn’t be bothered doing anything about it; I just rolled over and finally got to sleep. When I woke up in the morning, I still felt slow and useless but the fever had gone. Yay! Then I noticed pain in my arm. At first I thought it was because I’d slept in a weird position but quickly realised it must be linked to my infection. It tracked right up my arm to my shoulder and was particularly tender around the wrist. I mentioned it to Ben and John. We realised it wasn’t good and decided to monitor it for the next few hours. There was not much else we could do about the situation in the field anyway. We kept walking. 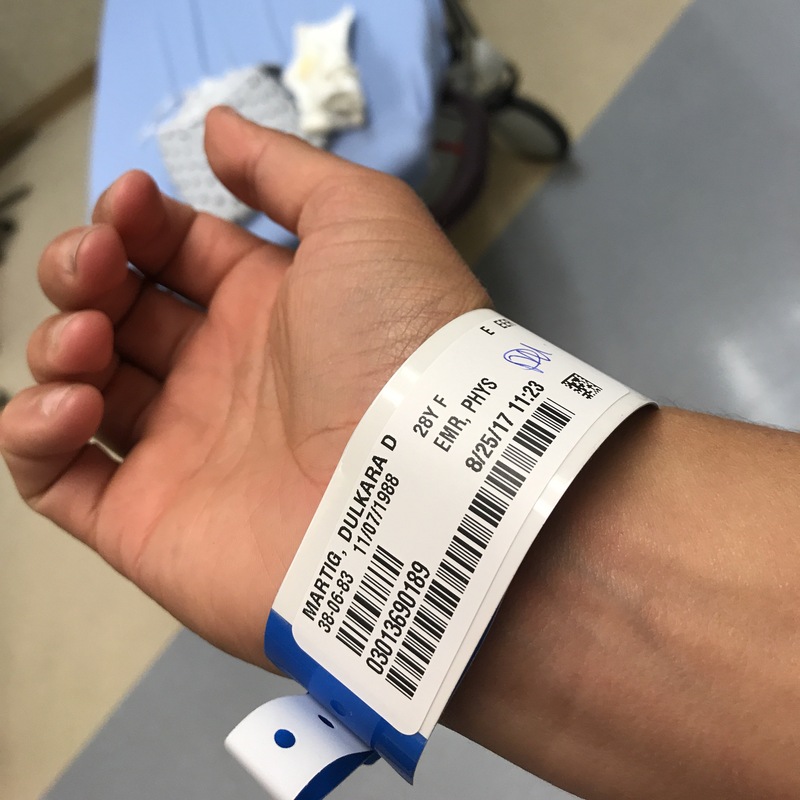 A few hours later the pain up my arm had dissipated but the pain in my hand and a little above my wrist remained. Around this time I sent an Inreach message to a doctor friend and to my mum, Janine. 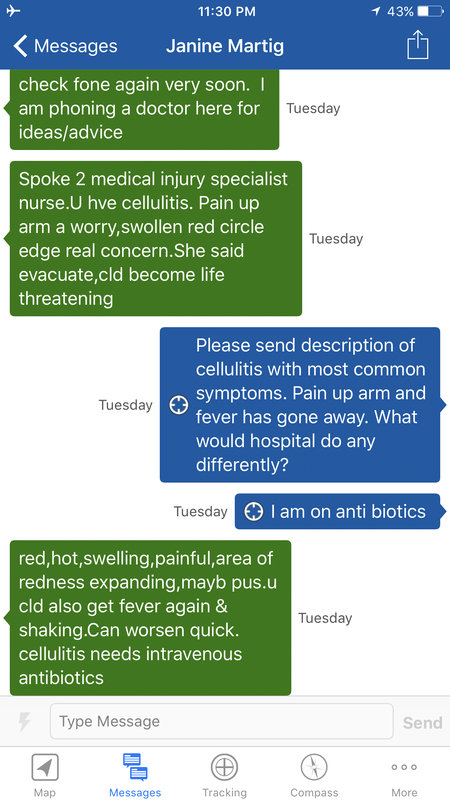 Janine replied first and rang a doctor in New Zealand to describe my symptoms. She then relayed the probable diagnosis back to us via Inreach. I feel conflicted about what we should do. Should I be evacuating myself? Is that over the top? One voice in my head is saying “It’s just an infection and my fever has dissipated. I must be on the mend, things will get better from here…” and the other voice is saying “this is different to most infections you’ve seen and you’ve had all sorts of symptoms, you never feel this weak.” My symptoms aren’t going away but they also don’t seem to be getting worse. 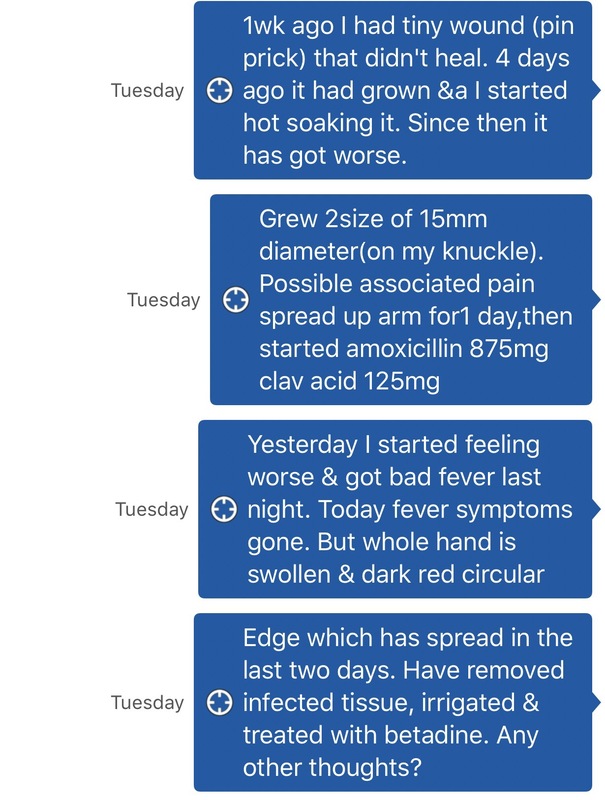 The main concerns (pain tracking up arm and fever) have got a bit better. We knew evacuation wasn’t possible right where we were unless it was a full-on army-style helicopter ($20,000, major insurance claim) and we had two more alpine passes to cross before we’d be in a place where a bush plane could land. Janine called my insurance company to work out some of the finer details in the case of needing evacuation. She also got in touch with our friend Ashley Wise in Palmer, Alaska and they both began communicating with Brooks Range Aviation about possible evacuation locations. When I woke up the next morning my whole hand was so puffy and swollen I could hardly see my knuckles. The pain still went to just above my wrist; it had not travelled higher again. Disturbingly, other tiny wounds on my body were starting to swell and fester. I pulled my pants down in the tent. By now the boys were used to me pulling my pants down to inspect my scratches! I inspected two dots on my thighs. They were sore, red and starting to swell slightly. The swelling on my hand was not abating. It was impossible to know how much of this was linked to the fact that I wasn’t able to rest it. We had continued to boulder-hop our way over passes and down valleys. It was probably not the best healing plan but when you’re in the wilderness, that’s often the reality. With my still-swollen hand and other small wounds on my body starting to fester in weird ways, we decided I should evacuate. We organised the evacuation via Inreach messaging combined with Skype and phone calls between Janine in NZ, Ashley in Palmer and Brooks Range Aviation in Bettles. Live MAProgress tracking proved super useful during this whole process. At some point soon I will write a post on how technology can be utilised in remote expeditions for safety and logistics. The morning of the evacuation I woke up and my hand was showing the first sign of improvement in many days. We walked down the Noatak until it had enough water to float on. We inflated our packrafts to begin our river journey. As we floated downstream I couldn’t stop thinking about whether evacuation was the right decision. Ben, John and I talked about whether or not it would be dumb to just finish the trip and get treatment later. I decided I’d rather stick it out and get treatment at the end of the trip unless the infection took a turn for the worse. But by this time the pilot had already left so we stuck with the evacuation plan. Around 30 minutes later we located ‘Twelve Mile’, the arranged evacuation lake. I don’t know how it would have gone with another few days packrafting but I feel like we ultimately made the right decision. Sometimes evacuation decisions are easy, black and white. At other times they’re grey. But when you’re many hours from any form of medical care, you’ve got to be more conservative with decisions. With something like this it’s a gamble to stay in the field and there’s no real way of predicting if it will suddenly get more serious (perhaps even life-threatening) or not. I won’t go into details of other logistics. In a nutshell it was a 1hr 15min flight on a float plane back to Bettles. Luckily someone was at the medical clinic there (it’s only manned two days a month). I had some injections and we got on the next flight to Fairbanks where I went to the hospital for some more treatment. I’m slowly chipping away at a course of 80 antibiotics (2 tablets every 6 hours for 10 days). They give me diarrhoea! And I’m about to get on a long-haul flight back to New Zealand. Fun times! 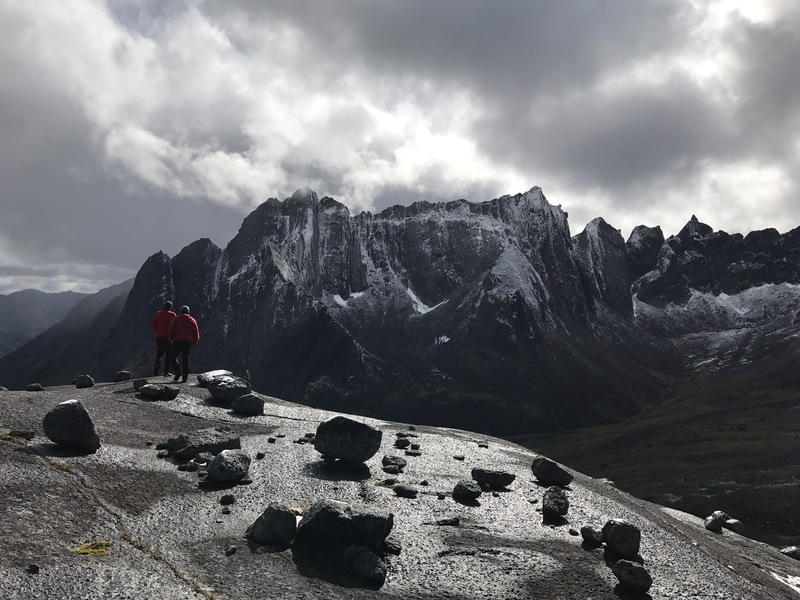 Huge shout-out to Janine Martig (my mum), Ashley Wise (friend and a workmate from NOLS Alaska), Judy from Brooks Range Aviation and all the other people who helped out in some way.